At SM Electrical Solutions we take privacy seriously and always do our utmost to protect any data we gather from customers. We only collect data we regard as important so that we can carry out our services for our customers to the highest possible standards. "SM Electrical fitted new lighting and power circuits for a relocated kitchen, new extension and updated the consumer unit to meet current part-p regulations. From start to finish I have found the whole experience faultless. Steve responded quickly to the initial enquiry with a competitive quote. His work was clean and to a high standard. He was flexible when it came to fitting around other trades during a complex installation and came back with excellent alternative suggestions to any issues that arose. 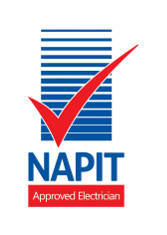 I would use SM Electrical again in the future and will recommend them to others." "Good workmanship, offered alternative solutions, no mess and a good price - can't ask for much more!" "I have used this company on a number of occasions and always find the work to be of good quality"
"Whilst testing found two faults. Managed to source old parts to fit our consumer unit. Good price and no mess"
"The trader was reliable and professional. Work completed in a timely manner for a fair price"
"Fantastic job, would definitely use again"
Copyright © SM Electrical Solutions 2019. All rights reserved.